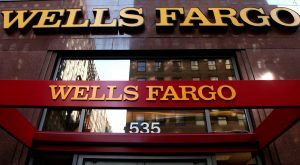 On Friday, Wells Fargo posted its quarterly earnings that for the most part beat Wall Street expectations. The San Francisco-based bank posted earnings per share of $1.07 which was above the Wall Street expected of $1.01. However, the bank missed on its revenue that ended the quarter at $22.1 billion, which was less than what Wall Street was expecting of $22.5 billion. CEO at Wells Fargo Tim Sloan through a prepared statement said that the 2017 second quarter results had demonstrated the benefit of the bank’s diversified business model. The bank continued to have strong results financially, invest for its future and adhere to its prudent risk discipline. Sloan added that the bank remained committed to lowering its expenses and to improving its overall efficiency and was very focused on the recent goals that were just announced. The bank’s net income ended the quarter at $5.8 billion equal to $1.07 a share, which was 5% higher than the same quarter in 2016. Revenue totaled $22.1 billion for the bank. The bank’s net interest income reached $12.5 billion, which was up over $183 million from this year’s first quarter. There was an improvement in credit quality as its provision expense reached $555 million but was down over $519 million and its net charge offs reached $655 million, but that were down $269 million. The bank’s period loan balances reached $957.3 billion which was down from the first quarter of $982 billion as there was a drop in auto loans. Its auto loan originations reached $4.5 billion which represented a drop of 17% from those of the first quarter and a drop of 45% from the same period one year ago. Deposits at the bank remained unchanged at over $1.3 trillion due in a large part to growth from small business and consumer banking. Profit from community banking was down slightly, with its net income falling from the first quarter of 2017 of $3.08 billion to $2.98 billion. At the same time, revenues were up in that division from $12.08 billion during the first three months of 2017 to $12.28 billion during the mostly recently ended quarter. Wells Fargo has battled an image problem since it came to light that an internal culture was pressuring customer service staff to open additional accounts without the customer’s knowledge, which in turn caused a large amount of accounts to be closed and deposits leaving the bank.